At the heart of GPD’s TeamPort solution is the design of projects, especially work by teams across functional,corporate, and cultural boundaries. 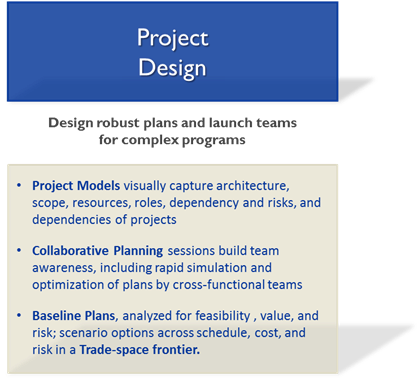 As a project begins, GPD leads a collaborative design exercise, rapidly generating project plans. A Baseline Plan is selected by the project team from many alternatives. These plans are both optimal and feasible. The involvement of teams significantly elevates their awareness and ownership. 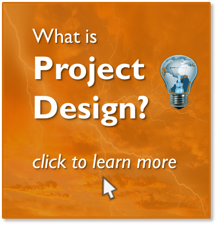 As the project proceeds, the team updates the Project Model and validates the remaining scope, resources, risks, schedule, and assumptions, rapidly generating estimates to completion and “what-if” scenarios.